Different widths & heights make these Mesa pots unique. Use them in an interesting grouping or by themselves. Fill them with colorful flowers, palms or evergreen bushes and trees, these are large enough to handle all your landscaping needs. 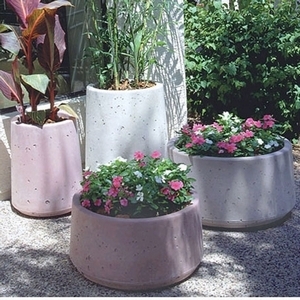 The simple tapered sides and lack of details make these planters blend in and very contemporary.